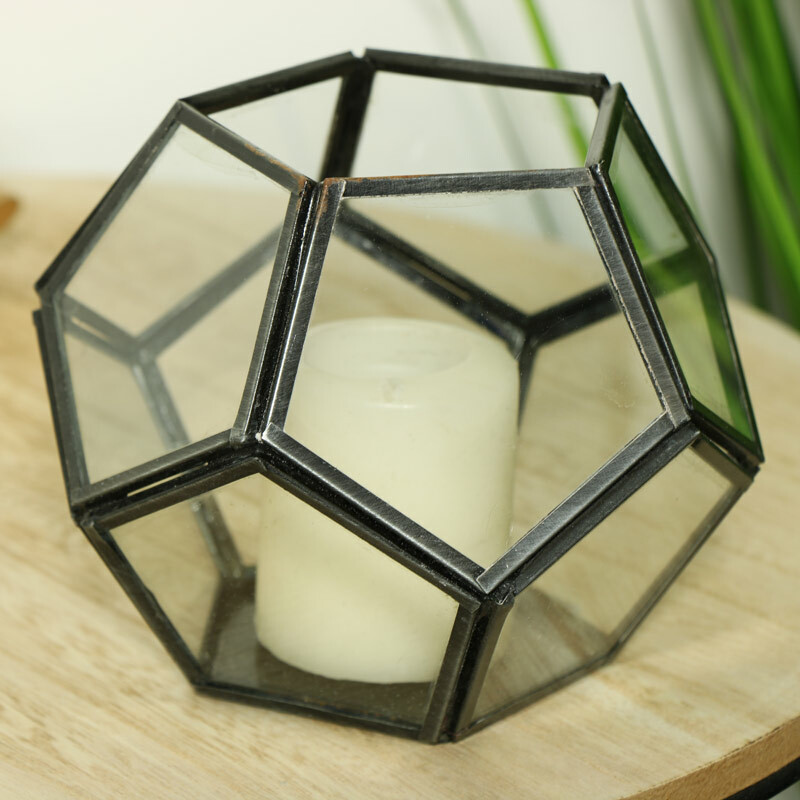 A tealight candle holder that embraces the trending geometric style. 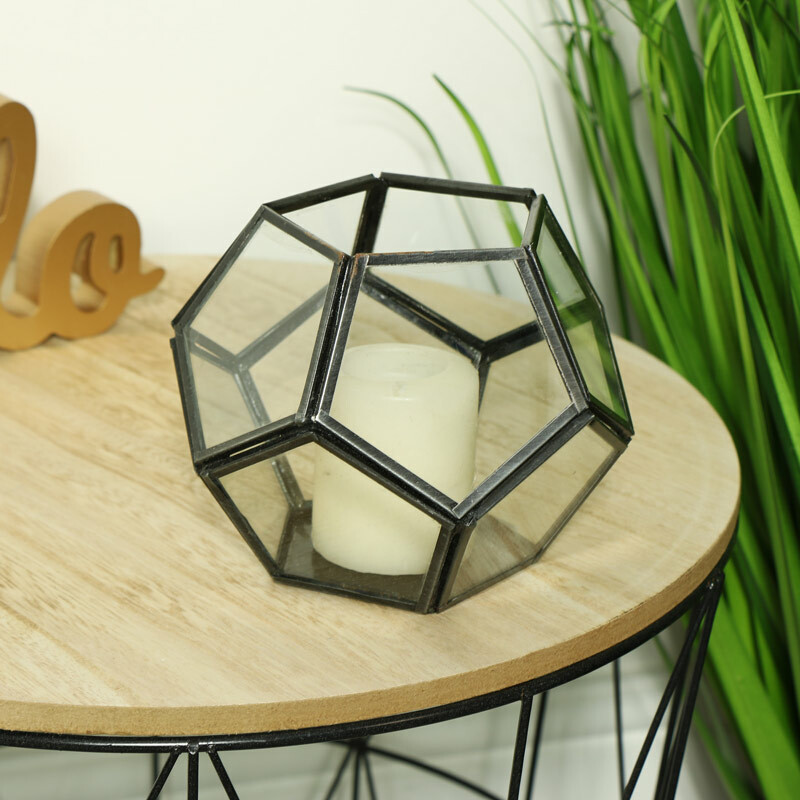 In a terrarium designs with a brushed black metal frame it adds a touch of retro and industrial style to any interior. With a versatile design it is great for small plants and flowers or alternatively sit upon your side as a makeup pot or to hold trinkets and accessories. A perfect quirky gift whether for a house warming, a birthday or just a little treat.